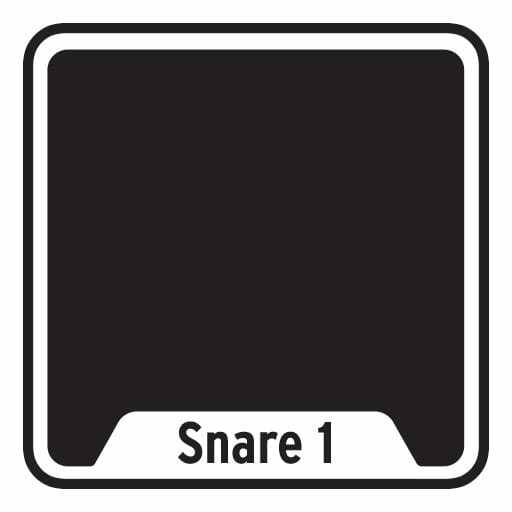 By holding Shift, you can also use the pads to quickly select a drum channel in the sequence without triggering the sound. The pads are also used to control the Mute and Solo selections, letting you get creative while performing live. DrumBrute Impact’s pads also light up when their sound is triggered by the sequence, giving you instant visual feedback on what sounds are playing and when. Yet another way this small but mighty drum machine draws you in and helps you become a better, more confident musician. 8 simple pads, so many possibilities. DrumBrute Impact is full of surprises! DrumBrute Impact features one of the most intuitive, advanced step sequencers ever put into hardware. 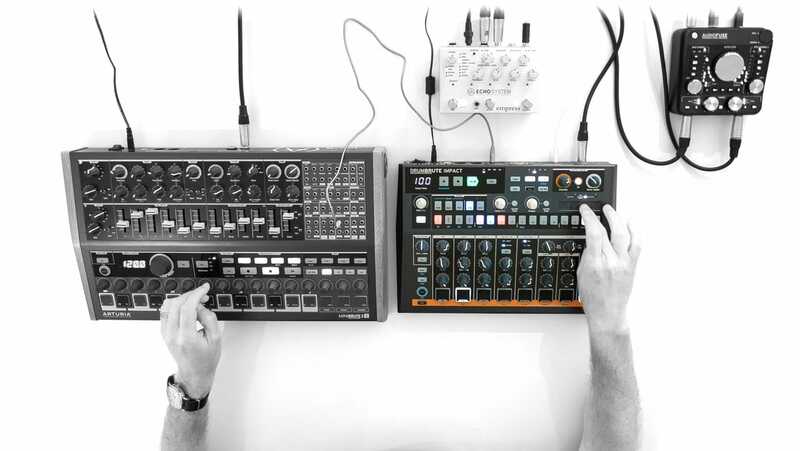 First seen in our award-winning BeatStep Pro, and refined with the original DrumBrute, the 64-step sequencer found in DrumBrute Impact takes things to a whole new level. 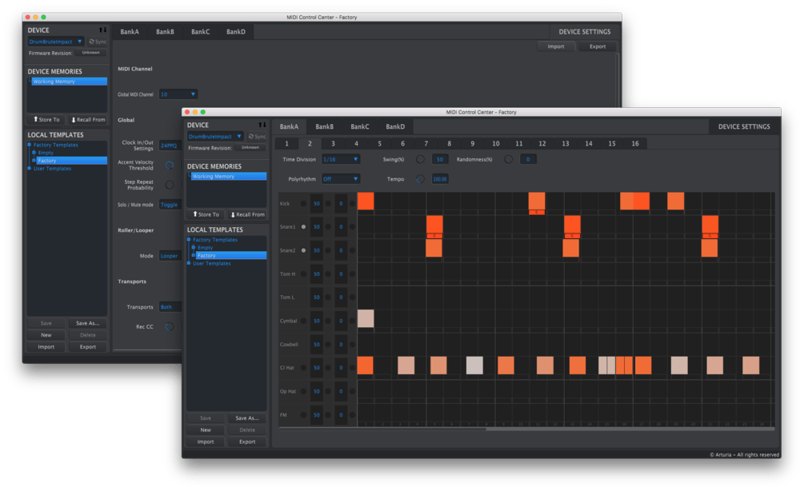 Packed with features that make editing and performing simple and fun, this powerful sequencer is fresh, exciting, and will take your rhythms to another level. For when you want something, but aren’t sure and don’t really mind what, the Randomness knob lets you dial in random hits. Like Swing, this can be applied globally or just for individual instruments. 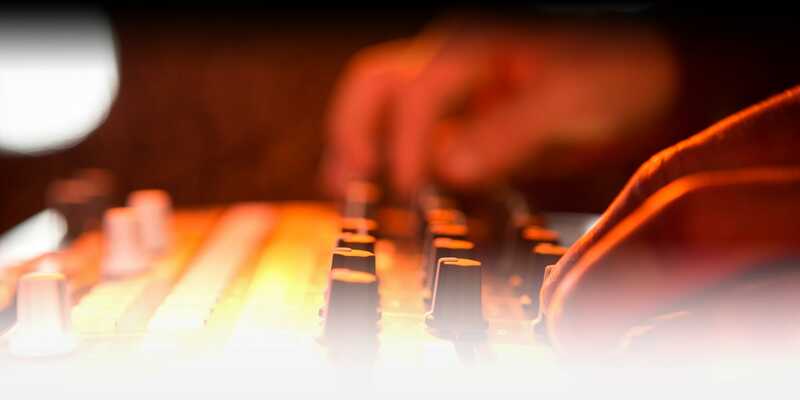 Should you wish to go unquantized, DrumBrute Impact lets you preserve the natural feel of your pad performances. Lose yourself in an endless, evolving sequence by using DrumBrute Impact’s polyrhythm feature. This lets you assign different pattern lengths for each instrument, creating an effect of perpetual motion. This cool feature lets you subdivide a step in 2, 3 or 4 sub-steps, allowing to breathe life into your fills without changing overall resolution for your patterns. Drawing inspiration from classic vintage drum machines, we also added an accent feature which gives certain hits additional emphasis, giving your pattern a more dynamic feel. The roller allows you to accelerate the creation of your pattern by repeating a sound at a given interval (1/4, 1/8, 1/16 or 1/32) to fill certain step of your pattern. 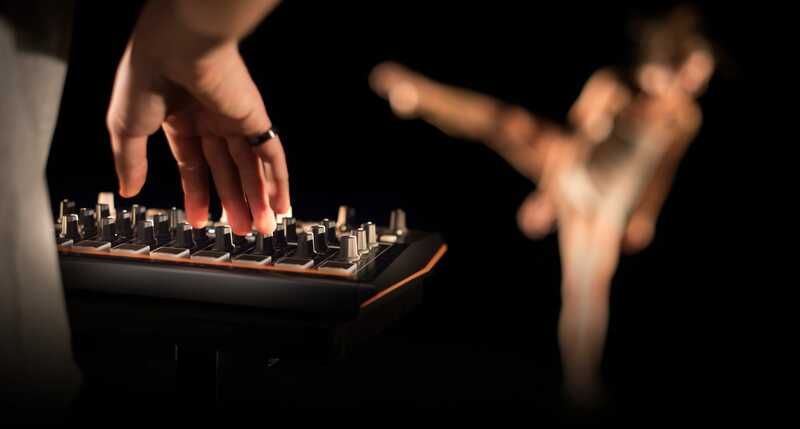 Big brutal sounds, intuitive controls, advanced functionality, tactile pads, and a world-class step sequencer; DrumBrute Impact ticks every box. When connecting the 3.5mm minijack, DrumBrute Impact’s metronome sends only over headphones so your audience won’t hear the click. 3.5mm minijack connections for Kick, Snares, Hi Hats, and FM Drum let you get creative with your signals. 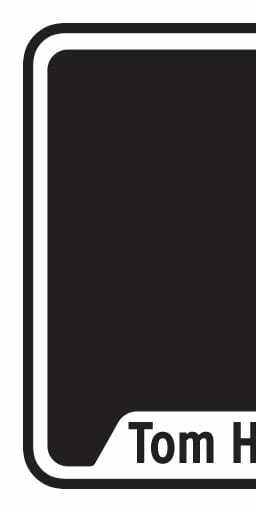 When any one of these connections are used, their assigned sounds are removed from the Main Output. Sync with your computer to sync with your DAW or configure settings in the MIDI Control Center. 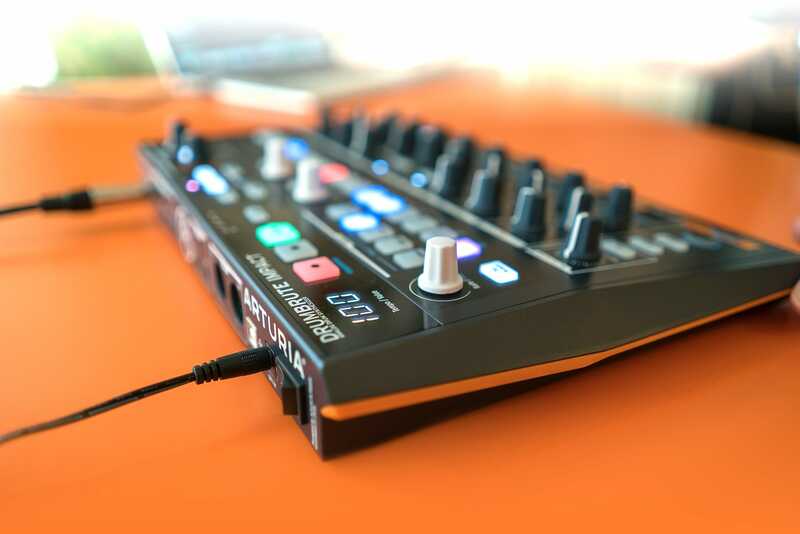 A full-size jack connection brings the sound of DrumBrute Impact out into the world. Use vintage drum machines or outboard synths? Hook up to your pre-MIDI gear with ease and sync it with DrumBrute Impact. Lets you interface with practically every electronic instrument and piece of pro audio hardware ever made. 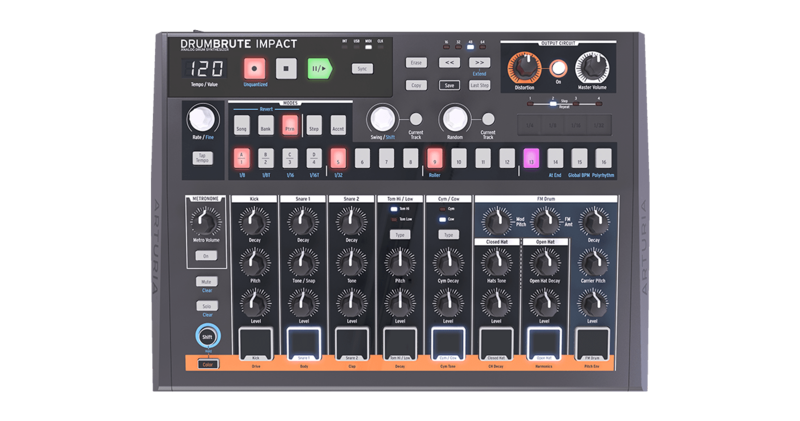 Often overlooked as “standard” or even “boring”, the wealth of connectivity on offer in DrumBrute Impact is anything but. One moment you could be synchronize with a 1972 ARP Odyssey using the Clock out, the next you could be multi-tracking your audio into your MIDI-synced DAW. One moment you could be experimenting with individually routing the bus outputs to an array of different stomp boxes and effects units, the next you could hook DrumBrute Impact up to a simple MIDI-enabled drum pad like the Alesis PercPad to give your acoustic drums an exciting analog counterpart in your live performances. The limit truly is your imagination when you’re using this brutal little powerhouse. Analog sounds with a digital mind, DrumBrute Impact lets you personalize various behaviours and parameters of its sequencer using the Arturia MIDI Control Center. Adjust “behind the scenes” details that help give you the best drum machine experience ever. These “set and forget” changes let you customize and personalize your instrument, making it truly yours, and empowering you to make music you never thought possible.